In the far future engineer Daisuke Ida scrambles around the debris of centuries past for any parts he can use, and is delighted to come across the head and torso of an artificial woman. 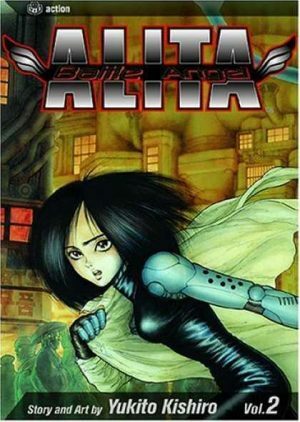 He reboots her, and sources replacement limbs, but Alita is amnesiac, recalling nothing prior to her reboot, although she rapidly begins to display some rare skills. 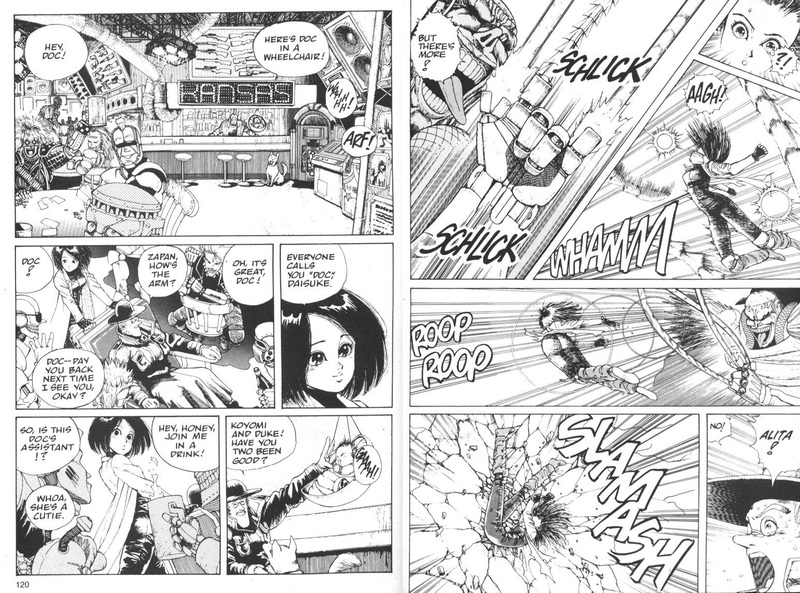 That’s pretty convenient as Daisuke also earns a living as a bounty hunter, clearing up monsters, and Alita is a valuable ally. 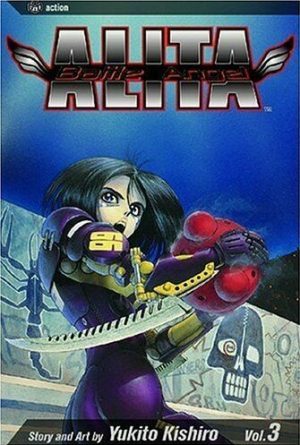 Although popular from the start, Battle Angel Alita is a series that takes a fair while to get going. Most of this content has the feel of creator Yukito Kishiro not having any direction other than his original cyberpunk concept and the idea of a monster hunter. 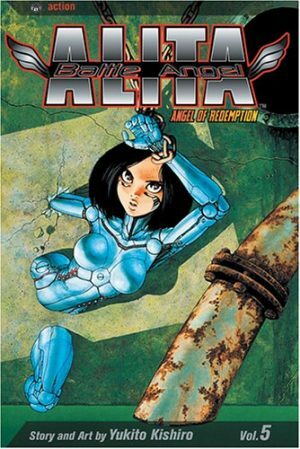 Alita is found, and battles a few monsters with varying consequences, but the emotional depth that later infuses the series is absent. Kishiro really enjoys drawing the imaginatively demented selection of cyborg monsters, in some ways well beyond the visual sophistication of the 2019 movie, and from the halfway point most of the book is taken up dealing with a brain-sucking variation. Kishiro’s art is good, but not by Japanese standards spectacular, coming over as the enthusiastically talented teenager who loved Astro Boy getting paid to draw brutal monsters and an attractive woman. 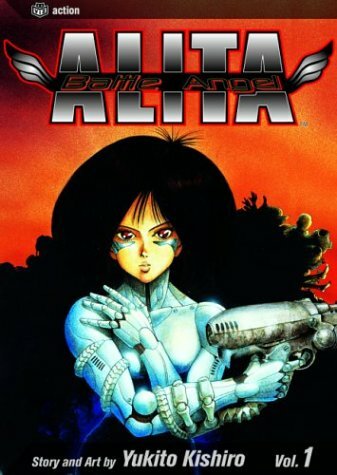 So if everything is so ordinary, why does Battle Angel Alita have such a reputation? 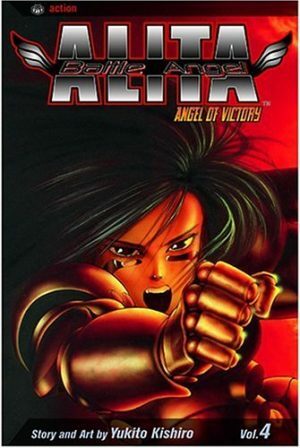 Well, a lot of series have shaky starts, but it’s not just because Battle Angel Alita improves. Much of what Kishiro has thrown in as background has impressive world building possibilities, and with the next volume he starts to explore that, giving the series a greater grounding and opening it up. 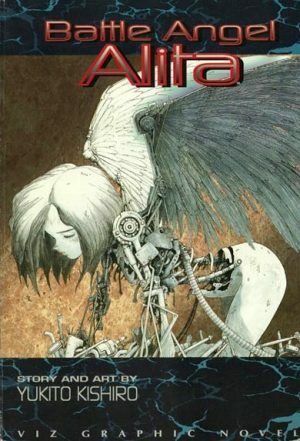 Even here there are enough fascinating glimpses of the Scrapyard in a post-apocalyptic society to intrigue, and alongside that Alita gradually begins to develop a form of self-awareness. Viz Media issued two sets of nine volume English language translations, the 1995 release having a more sophisticated, but less representative cover designs than the 2003 re-release, when the volume titles were also dropped in favour of volume numbers over the first three books. In 2017 Kodansha repackaged the series at a larger size, in hardcover, including the original colour pages in colour, and with a new translation. Their digital editions match the original nine volumes, but the physical books compress the story into six longer books, naturally enough beginning with volume one. That also includes much of the following Tears of an Angel (although the chapter of that title features here).